Here is some bad news for Manchester United fans, as Jose Mourinho is already looking at players to replace David De Gea in goal next season. The Red Devils have been one of the most consistent teams in the domestic league this season, and Spanish goalkeeper David de Gea’s form has a lot to do with it. He has been the best player for the club in the last couple of seasons, but as the transfer window edges closer, it looks like the shot-stopper is getting closer to a move to the Bernabeu. Zinedine Zidane is convinced that the 26-year-old is the right man to take up the responsibilities at Real Madrid next season, and is ready to spend big on him this summer. And it is now understood that Jose Mourinho has already started to scout for alternatives to replace the athletic star in the first team next season. 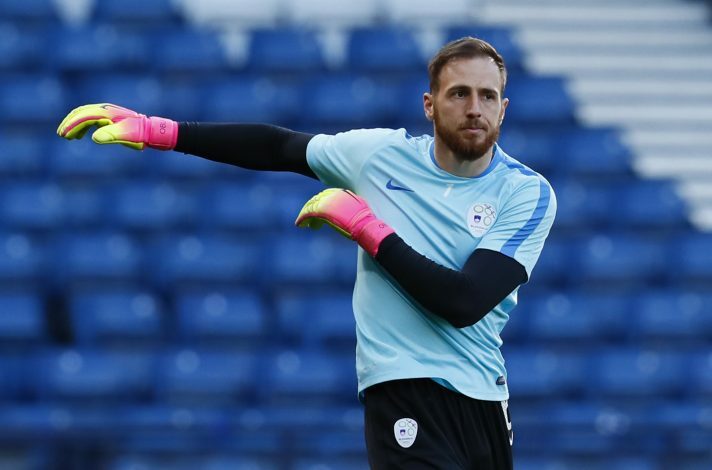 According to reports from the Express, Mourinho has identified Atletico Madrid’s first choice goalkeeper Jan Oblak as a possible replacement at Old Trafford. The Slovenian international has been in terrific form for the Spanish club in the last couple of seasons, and is fast growing as one of the most reliable keepers in front of goal in Europe. And the report claims that Mourinho is ready to splash around £40m, which might be enough to convince Atletico Madrid to sell this summer. Oblak joined the La Liga outfit back in 2014 and already has more than 60 domestic appearances in Spain. Diego Simeone’s side paid around £12.6m for him at that time, and selling him to United could make them a substantial profit on the player. However, the Red Devils are expected to recoup that value and more if they sell De Gea to Real this summer.